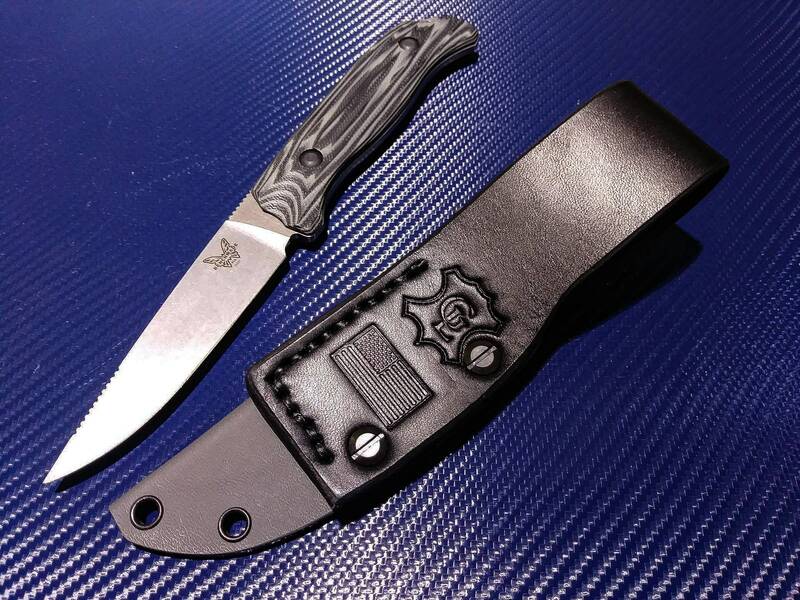 This is a heavy duty (.080) kydex sheath for the Benchmade 15007-1 and 15007-2 Saddle Mountain Hunter series knives. It is available in several different colors, and has several different options for carry. 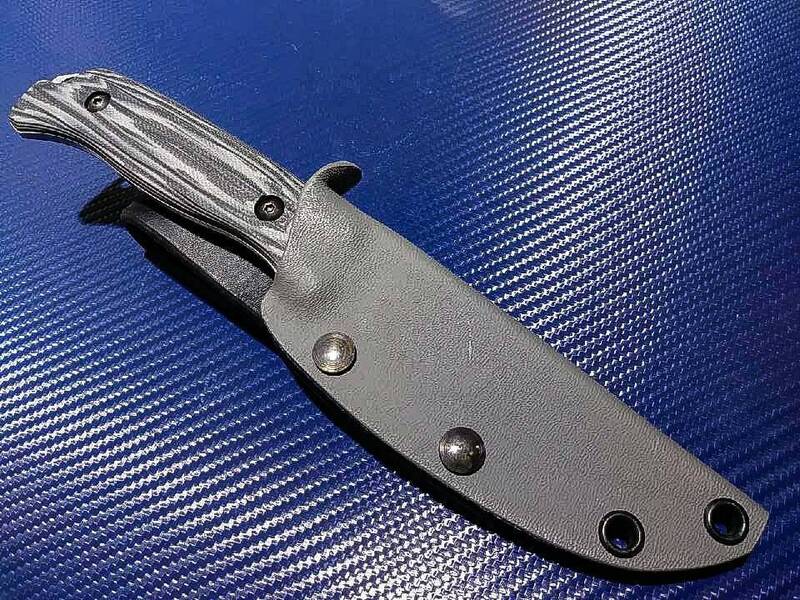 In most cases the leather used for the belt loops will be paired to the color kydex you choose, if you have any special requests for leather color, let us know and we will set it up for you. Great product with a perfect fit. I ordered the version with the leather strap/snap addition, but find it unnecessary. 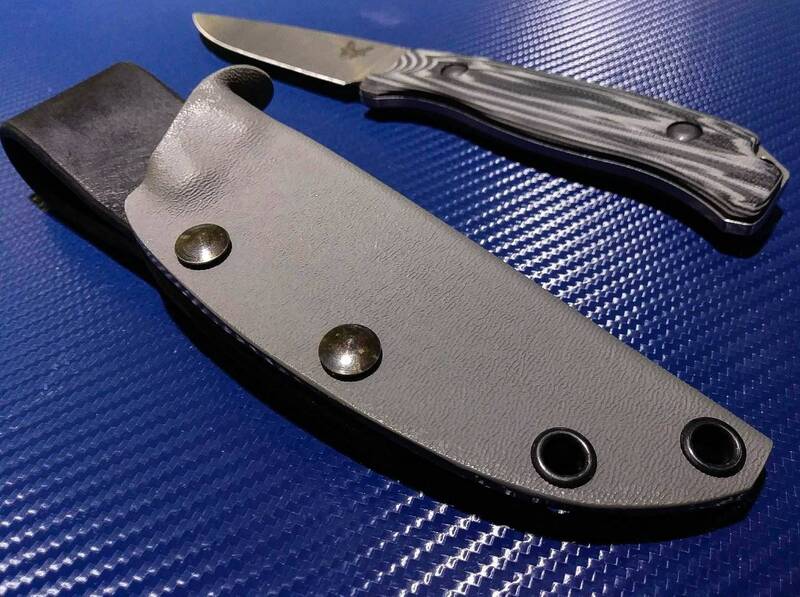 The way the knife is designed it can be removed from this sheath without unsnapping. Extra style points, but would recommend skipping the snap option unless you want a visual deterrent for all those knife-stealing people that probably aren't around.